Stake trees for the first 3-4 years. 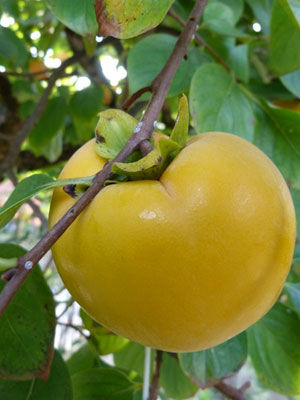 Harvesting depends on variety, non astringent persimmons can be eaten while still firm but astringent varieties need to be alowed to ripen until soft. Cover trees with netting to prevent birds from destroying the fruit.